Rib injuries are quite common, as they can occur as a result of many different accidents and scenarios. If you’ve ever had a bruised, broken, or separated rib before, you know exactly how painful it can be. Rib pain is usually characterized by a sharp pain that is most significant when inhaling. As you can imagine, this type of pain can be quite alarming, resulting in many people going to the emergency room. In addition to pain and discomfort, there are a host of other symptoms that may be present with an injured rib. While many people turn to painkillers and think there is nothing but rest that can be done to speed up the recovery process, this couldn’t be further from the truth. Chiropractic care for injured ribs is extremely effective and may help you find relief much sooner. Before we look at how a chiropractor can help treat a rib injury, let’s look at what, exactly, a rib injury feels like. What Does a Rib Injury Feel Like? 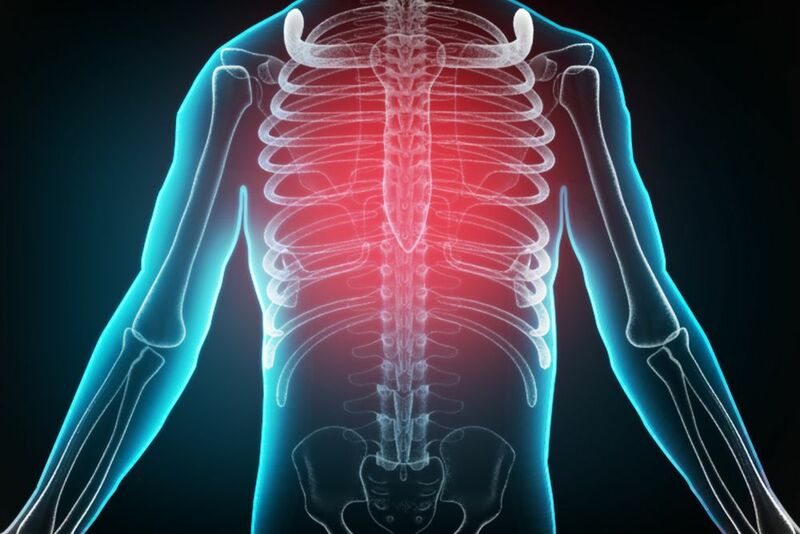 Whether you were in a car accident, suffered a sports injury, or were involved in some other altercation that resulted in a bruised, broken, or separated rib, the pain can be downright unbearable. Depending on the severity of your injury, you may experience pain that becomes worse when breathing, coughing, or laughing – so basically with anything you do. In some cases, this pain becomes more widespread because the inflammation spreads into the chest cavity, which is why many people end up in the hospital. If you are experiencing any of the above, it is important you seek medical attention right away. A physician can tell you whether the rib is fractured, separated, or bruised, which will then help you determine what the next step is. A chiropractor can then help realign the rib cage and speed up the recovery process. How Can a Chiropractor Help Treat a Rib Injury? Put the rib back into alignment – One of the most common ways a chiropractor can treat a rib injury is by putting it back into place or realigning it. This can do wonders when it comes to breathing, providing almost immediate relief. Manual adjustments to help with misalignment – A chiropractor can also help with a rib injury by using manual spinal adjustments to correct any misalignment as a result of an injury. If you have a separated rib, an adjustment may be able to do the trick and get it back into place. Help monitor a rib injury – If you have a broken or fractured rib, a chiropractor may come in handy by helping monitor how it heals, ensuring it is properly aligned. We will also help determine how much rest is necessary with a bruised, broken, or separated rib. The type of treatment you will need and the number of visits to the chiropractor required will depend on a host of factors, namely the extent of the injury. For people with a bruised or separated rib, the recovery time is usually much shorter. If you have a broken rib, it may take additional time and chiropractic adjustments to allow for the body to heal. To learn more about what to expect when seeing a chiropractor for a rib injury, please contact Premier Injury Clinics of DFW today.